Can I have a patio installed in winter? Folks tend to believe that they must wait for warm weather to begin their outdoor living projects. 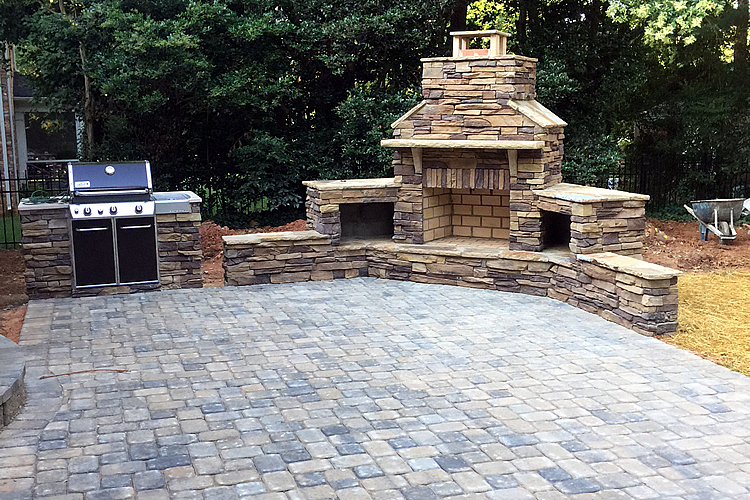 Archadeck of Charlotte would like you to know that we continue building through the winter, and we can design and install your custom paver, stone, or travertine patio in the winter. When it comes to cold weather paver or stone patio installation, there are a few considerations. 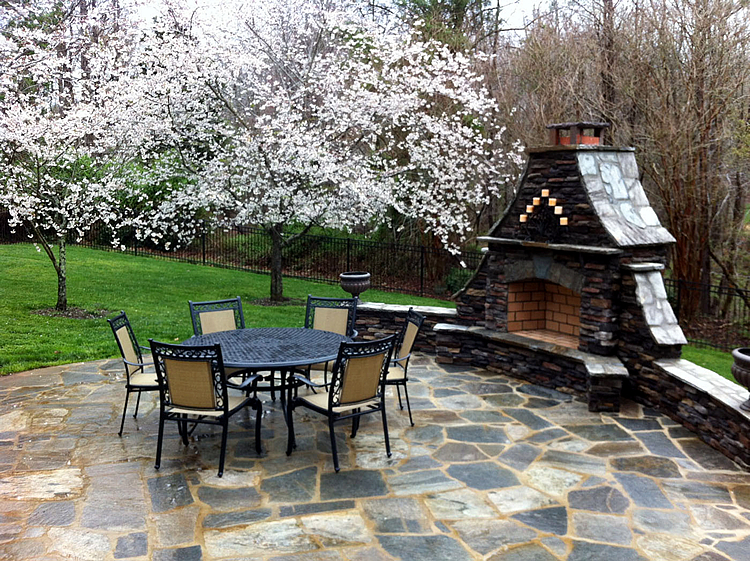 With proper weather patterns in the winter season, it is absolutely possible to have your new patio installed. It can also be more cost effective to install your patio in the winter, as materials are generally less expensive this time of year. 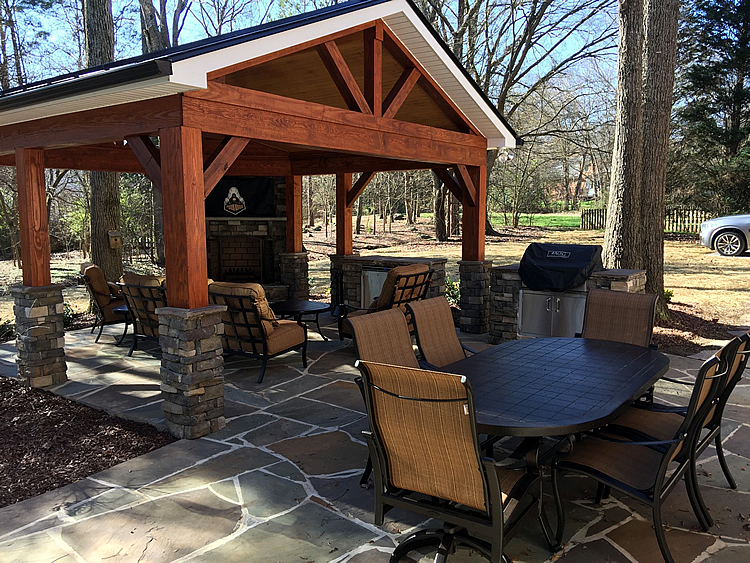 Archadeck of Charlotte has been building patios in the Charlotte area for more than 30 years, and we can expertly guide you through your wintertime project planning, design, and installation! Installing Charlotte paver patios in winter. Paver patios are very popular for their many options in materials, colors, shapes, and sizes. The main consideration concerning a paver patio installation in cold weather is frost. Heavy frost during installation of your patio can cause the ground beneath to shift. Archadeck of Charlotte will see to it that your installation takes place outside of heavy frost weather patterns to avoid shifting pavers. Installing Charlotte stone patios in winter. Stone patios must be installed within the same heavy frost parameters as paver patios. There is an additional consideration for stone patios when it comes to using mortar. Mortar must be applied in temperatures of 40 degrees or above. Though we do have mild winters in the Charlotte area, it is not uncommon to experience temperatures consistently falling below 40 degrees. Archadeck of Charlotte will be cognizant of the weather forecast during your installation to ensure mortar is applied in temperatures that will allow it to properly cure. With average highs in the 50’s in wintertime, and lows in the 30’s, it is not uncommon to catch a weather pattern that will allow for installation of your stone patio and any accompanying hardscapes that must be constructed using mortar. Archadeck of Charlotte has installed many travertine patios over the years! We use high-quality Turkish travertine tile, installed with tight joints for a smooth finish. As with other paver and stone options, our travertine patios can be installed in the winter outside of heavy frost weather patterns. Did you know that travertine offers strength and weather resistance and is environmentally friendly to boot? Read our blog about the benefits of travertine tile! Have you been waiting for “perfect weather” to plan your new patio? 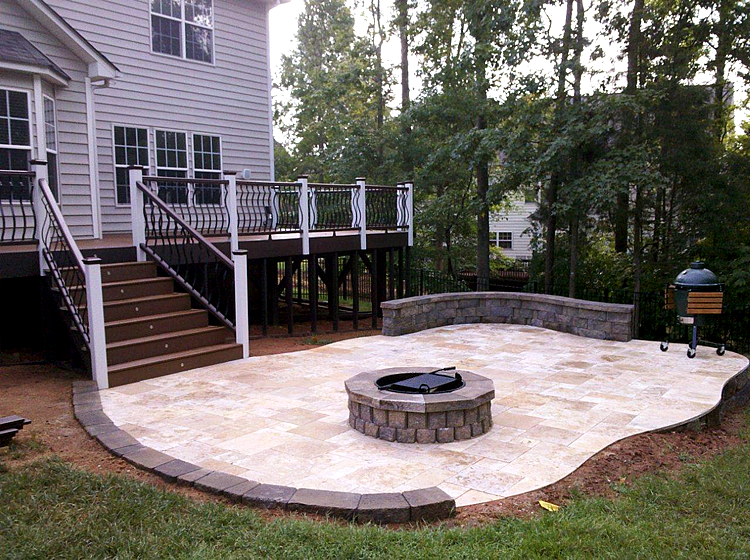 Call on Archadeck of Charlotte to discuss your patio design, and let us get your project underway! With lower materials costs in winter, now is the perfect time to begin. We’ll have you enjoying your patio earlier than you ever thought possible this spring! Let’s get your wintertime patio project underway today! Give us a call for a free design consultation at (704) 944-1350 or email us and a Design Consultant will contact you promptly.